Jan. 5, 2017, 9:47 a.m. But what happens to the publishers who gave up some measure of their independence for the platform? By Laura Hazard Owen @laurahazardowen Jan. 5, 2017, 9:47 a.m. Turns out that being among the right people — the publishers, tech executives, and media elites that Medium has wooed to its platform — still isn’t a business model. On Wednesday, in a Medium post, Williams wrote that the company was laying off a third of its staff, about 50 people, and shuttering its New York and Washington offices. The positions being cut are “mostly in sales, support, and other business functions,” Williams wrote. 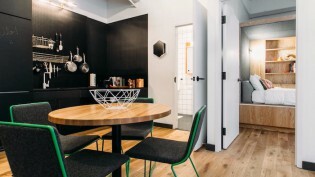 But those leaving also include Saul Carlin, the company’s head of publisher development, whose job was to bring on board buzzy publishers like The Ringer and The Awl as well as smaller publishers and individuals. Medium initially approached us about a possible migration over the summer. We have been in the process of migrating our site from WordPress to Medium since late fall, excited to join the ranks of publishers we admire—ThinkProgress, The Awl, Femsplain, The Ringer, Pacific Standard, to name but a few—and the broader Medium network of talented writers and thoughtful readers alike. Our launch day, today, was scheduled in early December. We received news of Medium’s pivot and attendant downsizing when the rest of the world did, around noon. At this time, this is, literally, all we know. 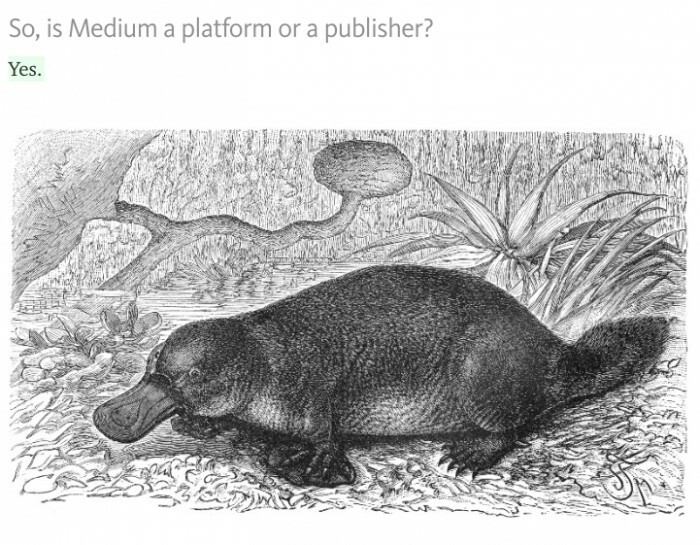 The publishers who remain on Medium will be working with a reduced number of tools. When Medium launched its publisher program last year, one of the touted benefits was sponsored content, facilitated by Medium. Now Medium will no longer offer this option. Native advertising (what Medium called “promoted stories”) offered “at best, incremental improvements on the ad-driven publishing model, not the transformative model we were aiming for,” Williams wrote. Transformative or not, advertising help was still a draw for small publishers who might not have had the desire or bandwidth to arrange those deals on their own; now it won’t be an option. “We have not seen a big issue — or a little issue — with revenue [as a result of getting rid of banner ads]. We’re really pleased with revenue; it’s good,” Macher said at the time. Wednesday’s changes essentially force publishers to abandon advertising as an option, unless they arrange branded content deals on their own. Medium’s template had never been friendly to banner ads. There were workarounds in which publishers could upload them on their own, but the site’s design — even with some of the customization that Medium was working on with some of its publishers — doesn’t really offer room to promote — well, much of anything. There aren’t sidebars or columns where a publisher that does want to rely on some kind of advertising could place it. “We are shifting our resources and attention to defining a new model for writers and creators to be rewarded, based on the value they’re creating for people. And toward building a transformational product for curious humans who want to get smarter about the world every day. It is too soon to say exactly what this will look like,” Williams wrote. A person familiar with the company mentioned “micropayments and membership” as potential ongoing areas of investment. But it’s not clear why Medium would somehow be able to achieve success through micropayments at scale when no other company has been able to. It seems as if the closest parallel might be Amazon, which with its Kindle self-publishing program and $0.99 ebooks gave many authors a voice but ultimately enabled only a very select few to make significant money. That leaves subscriptions, which has also only been a successful business model for a relatively small number of individual creators. It is a model that some Medium publishers are already using or at least experimenting with, and one that others, like The Awl and The Ringer, may need to consider — but there’s no guarantee it will work for the general-interest-ish publishers that Medium wooed. In the short run, though, the small publishers that signed on with Medium are once again in at least a holding pattern, and may not be able to keep themselves treading water even if Ev Williams’ company can. POSTED Jan. 5, 2017, 9:47 a.m.
Owen, Laura Hazard. "Medium lays off dozens as it tries to find a publishing business model that may not actually exist yet." Nieman Journalism Lab. Nieman Foundation for Journalism at Harvard, 5 Jan. 2017. Web. 25 Apr. 2019. Owen, Laura Hazard. "Medium lays off dozens as it tries to find a publishing business model that may not actually exist yet." Nieman Journalism Lab. Last modified January 5, 2017. 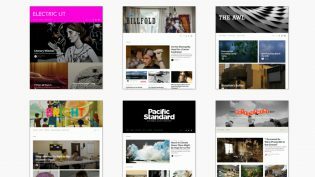 Accessed April 25, 2019. https://www.niemanlab.org/2017/01/medium-lays-off-dozens-as-it-tries-to-find-a-publishing-business-model-that-may-not-actually-exist-yet/.